Many thanks to the editors at Dispatches from the Poetry Wars for publishing my poem 'A Question of Brightness'. Check out their remarkable online resource and extensive list of artists and writers. Pleased to read Greg O'Brien's essay on NZ poetry and how NZ poets respond to what John Kinsella termed 'international regionalism'. After finishing the impressive and detailed biography of Allen Curnow: Simply by Sailing in a New Direction: Terry Sturm (AUP) it was fascinating to see how Curnow negotiated the local with the international / the private with the universal...(or in philosophical terms, how the natural world presented "phenomena", and how the poet accessed, and presented, "noumena". Sturm's biography highlighted Curnow's doubts about the quality of his work, rivalries, a drive to promote and disseminate his work, and a doggedness in the face of adversity...how early reviews of Curnow's work referred to poems as ‘mannered obscurity’– something today we don't necessarily equate with a Curnow poem. 'In "Canto of signs without wonders,” he finds himself looking skyward, not toward heaven, but to some imagined or real aerial lettering, “the sky being prime space, anyway / the most public part of this universe.” A much younger poet, Sam Sampson, alluded to Curnow’s conspicuous sky-writing (and also to the concrete poetry movement) when he set words adrift across the visual field of the page in the title sequence of his 2014 collection, Halcyon Ghosts, the form of each poem being a transcription of a flock of birds, mid-flight. Had a great time talking to Dan Sperber: 7am Swim with Sperber Dan. We talked a little about poetry and music, I played a few tunes, and I had the chance to premiere my dedicatory poem for John Ashbery. Very sad to hear of the passing of John Ashbery (1927-2017). A touchstone poet for me and someone I always headed to for inspiration. I know he wasn't for everyone (I'm thinking of C.K.Stead's 1992 review in the LRB: 'O Harashbery!') but it was mesmerising how he made the world strange and exciting through poetry. His form of negative capability combined a late-modernist / collage / discourse which made you believe anything was possible. As others have written, when reading Ashbery it was important not to try to understand the poems but to take pleasure from their arrangement, the way you listen to music. As Langdon Hammer wrote in the New York Times in 2008: 'Ashbery's phrases always feel newly minted; his poems emphasise verbal surprise and delight, not the ways that linguistic patterns restrict us'. 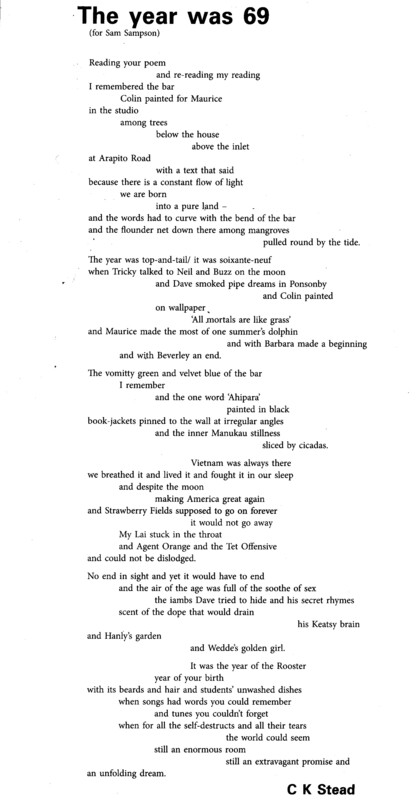 Happy to see the NZ Poet Laureate (2015-17) C.K.Stead's wonderful response to my unpublished poem: 'As there is': it has both 'time present and time past…' the local and international: ‘making America great again’, a slogan of today’s politics gone mad and yet a re-reading of a reading. What a pleasure to receive your note, and the collaboration with Harvey Benge, where word and image offer such a provocative dynamic of conjunction and disjunction, the rich play between, space between. The book is 195 x 155mm and is printed on 120gsm art paper, 28 pages with 16 photographs. The edition is limited to 100 copies. I have uploaded the entire book for online viewing: ...exclusivity dwells in habitat. Some wonderful photos of the event by the writer Ann Russell. After reading in front of The Watchman at Karekare beach for ANZAC Day 2016 celebrations I'm heading back to the surf club with a stellar line up for Poetry Day 2016. It should be a fantastic evening, with West Auckland poets Janet Charman, Serie Barford, Jenny Clay, Sandra Coney, Rewi Spraggon, Elizabeth McRae & Sue Gee with special guests and The Rutherford Writers from Rutherford College. Follow the flames along the estuary from the beach carpark to the iconic Karekare Surf Life Saving Clubhouse. Antipasto provided. Drinks available. MC Sir Bob Harvey. Entry by Koha, Proceeds To KKSLSC, All ages welcome. Date/Time: 26th August, 6.15 - 8.30pm. Location: Karekare Beach. Such enthusiasm and zing!!! A three day workshop I was involved in with animator Martin Sercombe. Kids 6-12 years brought poetry to life through animation and video...a fantastic combobulation of word and image. The video showreel will be premiered to the public at Titirangi Theatre in September. Pleased to be participating at my local gallery in a discussion on writing. From the Te Uru site: 'Write Night is a monthly opportunity for writers of all persuasions to get together, seek advice, eat biscuits and meet like-minded scribes. Koha welcome.' Wednesday April 27, 6.30-8.30pm. Many thanks to Michele Leggott, Tim Page, and Brian Flaherty, for the opportunity to have work included in the Six Pack Sound #2 series. This is the first recording of the poem Halcyon Ghosts, and will give readers (& listeners) my take on the notation set out in the book. What a privilege to have collaborative work ('Popular Mechanics') included in a 64th birthday collection for the editor impresario Tony Frazer of Shearsman Books. Tony was one of the first to publish my work and believed my first volume Everything Talks was worth publishing through his Shearsman imprint (even though I was based in NZ on the other side of the globe). With his encouragement and matter of fact approach he gave me a sense poetry was integral to my sense of being...a validation of sorts. Thank you Tony, and may Shearsman continue to bring into the world 'the quiescent music of its particles' (Gustaf Sobin). Very pleased to have a poem included in this smorgasbord of transtasman poetics. Many thanks to the editorial team Bonny Cassidy and Kent MacCarter. A sort of anarchic teasing of our sensibilities is taking place...the work is pulsing with the beat of a living language at its heart. Photos of a fantastic evening reading at the nzepc event LOUNGE #41, with Eleanor Catton, Anand Changale, Wystan Curnow, Doc Drumheller, Ya-Wen Ho, Nicki Judkins, Mel Rands, Lisa Samuels and Steve Toussaint. A review of my book by NZ poet, children's author, reviewer and anthologist Paula Green. I'm privileged to be reading at the nzepc event LOUNGE #41 (Old Government House Lounge, City Campus, Cnr Princes St & Waterloo Quadrant), with Eleanor Catton, Anand Changale, Wystan Curnow, Doc Drumheller, Ya-Wen Ho, Nicki Judkins, Mel Rands, Lisa Samuels and Steve Toussaint – on October 22, 2014 @ 5:30 - 7 pm. Happy to be back reading in the Titirangi neighbourhood where I grew up. I'll be reading from my new book Halcyon Ghosts on September 13, 2014 @ 1:00 pm - 1:15 pm. I read on 'Poetry Day' August 22 at McCahon House with the wonderful poet Serie Barford, and musician Richard Ingamells and friend. It was a great evening. An overflowing bach...people sitting on the floor, spilling into the kitchen...and the intimacy of performers and audience in close proximity (plus a special concoction of mulled wine to warm up the event!). Was a great little venue with an appreciative audience. A series of questions posed by NZ poet, children's author, reviewer and anthologist Paula Green. A few quick questions about the book, followed by a series of stunning photograph and poem pairings that make Halcyon Ghosts a visual as well as poetic feast. Thank you to all those that attended the launch of my book. Many of you were at the launch of my first book six years earlier and I was overwhelmed by your support on this special occasion. Auckland University Press has posted a number of photos of the event: Halcyon Ghosts Launch. Launched!!!!!! Halcyon Ghosts was launched at the Gus Fisher Gallery: 5:30 – 7pm, on Friday 13th of June. Coincidentally, my last book was launched in 2008, at the Gus Fisher Gallery, on Friday 13th of June – six years earlier! Check out the wonderful book cover design for Halcyon Ghosts. The wrap-around image: 'La lampada della nonna' (Grandmother's Lamp) 1913, is a decomposed nitrate film clipping from the Turconi Collection; Moving Image Department, George Eastman House, New York. The design was done by Jacinda Torrance. The image has never before been published. Halcyon Ghosts presents thirteen poems, thirteen shapes of knowing – from the cinematic reel ‘The Kid’, splicing stills of the poet’s grandmother and Charlie Chaplin, to the re-verse soundings of ‘Six Reels of Joy’, celebrating the birth of the poet’s daughter. The title poem displays a ghostly counterpoint of birds and words in flight; strikethrough poems are threaded through with runes of fact and fiction. Language, Sampson demonstrates, is as particular and transitory as the patterning of the natural world. Poems layer, link and break apart, sampling and echoing other texts – whether the everlasting cataracts of Keats and Dylan Thomas or reportage gleaned from territorial newspapers of the Old West. Halcyon Ghosts is a profoundly philosophical and personal collection, an assemblage of unearthed vestiges, a quintessence – where names displaced by light, are dark but not lost . . . . Ever-changing, language spills its story. Auckland University Press has produced a treasure trove of more than 240 classic New Zealand books, some long out of print, as ebooks in multiple formats for readers in New Zealand and around the world. Everything Talks has been included in the ebook catalogue. If you're interested in grabbing a copy, click on the above link for details, or visit Amazon, Apple, or any other major ebook retailer. Sam Sampson's poems 'Doubled Lexicon' : dedicated to the late, great, musical poet Gustaf Sobin (1935 - 2005), and 'Erasure' : dedicated to Don Binney (1940 – 2012), artist and conservationist best known for his paintings of birds. TRANSPACIFIC Cordite Poetry Review 41.0 (Feb 2013), NZ 6-Seater: A Chapbook Curated by Ian Wedde. 'I Spilled My Story', the full length poem, has been included in a chapbook of contemporary New Zealand poetry curated by Ian Wedde (which includes: Selina Tusitala Marsh, Anne Kennedy, Michele Leggott, Murray Edmond and John Newton). 'I Spilled My Story' collaged by the artist Peter Madden. This work was originally exhibited at the Ivan Anthony Gallery back in March 2012, and subsequently, purchased by the Chartwell Collection. I've uploaded a series of details from the image: 'I Spilled My Story'. A collaborative bookwork ...exclusivity dwells in habitat... with photographer Harvey Benge will be officially launched on Tuesday October 16, 2012, 6 – 8pm. 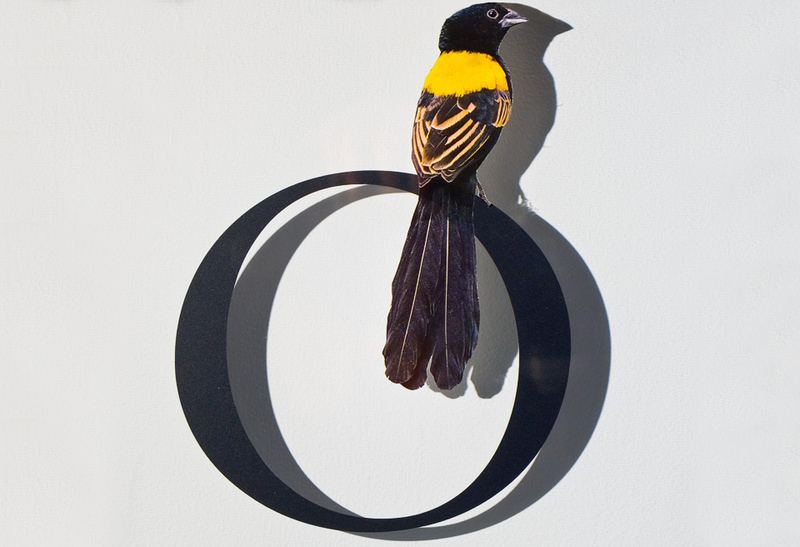 Venue: Whitespace Contemporary Art, 12 Crummer Rd, Ponsonby, Auckland. Sam Sampson: Auckland Writers & Readers Festival, May 12 - 16, 2010. 'These are works that attempt, in their construction, to capture as much condensation of image and nuance of feeling as possible; fleshy but pared down to the bone. Sometimes this cryptic reductionism provides intense visions. At other times we are left staring at skeletons...' (Peter Dornauf, Waikato Times, 'Sampson's poems find rhythm in sea', April 6, 2009). 'Sampson's poetry repeatedly makes such demands on the reader: to attend to the slightest difference in emphasis a vowel can imply; to attend carefully to each line, or to each couplet in a ghazal; to see the linguistic and phenomenological connections; to expand one's senses of where the boundary between self and other, plenitude and zero, beauty and bathos is situated...' (Helen Dennis, The Warwick Review, 'On NZ Poetry', March, 2009). Read More... Download Pdf. (from e-mail to author) '...wanting to thank you again for Everything Talks. It does, certainly, in this instance; the work is a pleasure to experience all the way through. I was moved as well to see that entirely pertinent epigraph from Sobin's "Breath's Reflections."' (Michael Palmer, August 12, 2008).